I am finally sorting through all the cook books I bought on Saturday and taking a few photos. 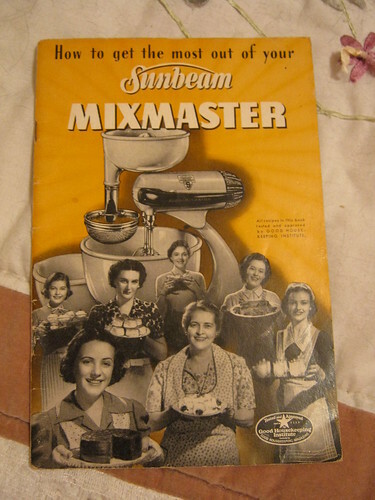 Sunbeam instruction/recipe book - dated 1942. Includes a price list - the price for a Mixmaster w/juicer was $28.10.